Cans are black with blue lids. Pickup will be every other week (about twice a month). Have your cans out on the curb by 7:00 a.m. There are many advantages to recycling such as recycling one aluminum can saves enough energy to power your television for 3 hours; recycling one ton of paper saves 17 trees; recycling one ton of plastic conserves the same amount of energy consumed by two people in one year; and recycling one ton of cardboard saves 46 gallons of oil. The benefits of recycling programs lower the long run costs of trash collection by lowering the city's relative garbage contribution. The cost of providing the recycling service is decreased because the costs are spread over more residents. Recycling is also an environmentally responsible activity. It saves natural resources, it saves energy, it reduces the need for landfill space, and it lowers the need to use toxic chemicals. 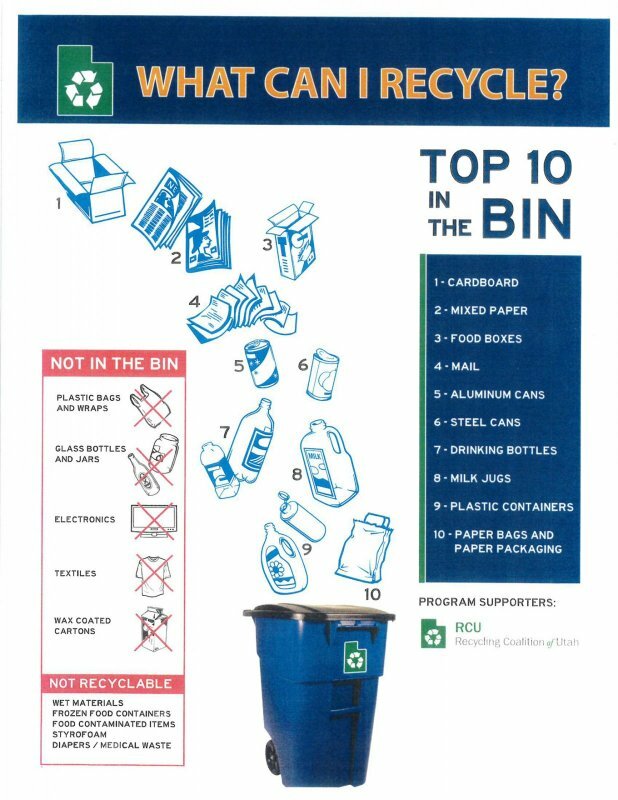 Recyclable items include paper, plastic, cardboard, tin cans, magazines, etc. all of which can be placed in the same bin. For more information on acceptable and unacceptable recycling items, please click here.